Annapolis holds a vast array of cultural and historical significance in our country, and your student travel group can experience it all first hand. Your student travelers will be overcome by Annapolis’ stunning colonial architecture, booming metropolitan area and laid-back oceanfront. Annapolis holds a vast array of cultural and historical significance in our country, and your student travel group can experience it all first hand. Annapolis is rich with American and maritime history, which is evident in the traditional buildings lining the streets and seafaring vessels sitting in the harbor. To begin your educational student tour of Annapolis, head over to the Historic Annapolis Foundation, located in the William Paca House & Garden. Here, guides provide student tour groups with a wealth of information about Annapolis’ architectural, political, socioeconomic and geographical past. Equipped with this knowledge, your youth travelers will be ready to hit the streets and explore. A “colonial” guide can lead your student tour group or you can opt for a self-guided walk. 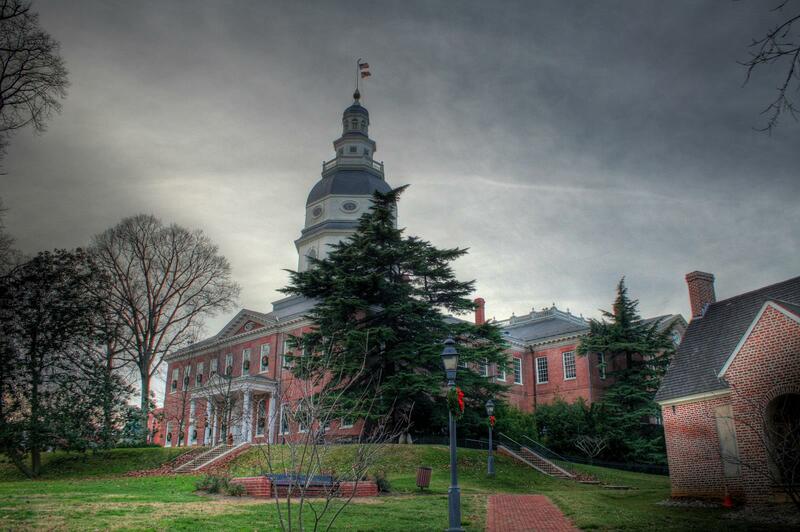 Make your way to the Historic District of Annapolis, where your student travel group can visit the Maryland State House, the country’s oldest capital still in governmental use. Walk along the streets to view many Georgian-style mansions, including the Chase-Lloyd House, Charles Carroll House and Hammond-Harwood House. Not only are the exteriors of these famous homes beautiful, but student tour groups can get a glimpse of colonial decor and artifacts. 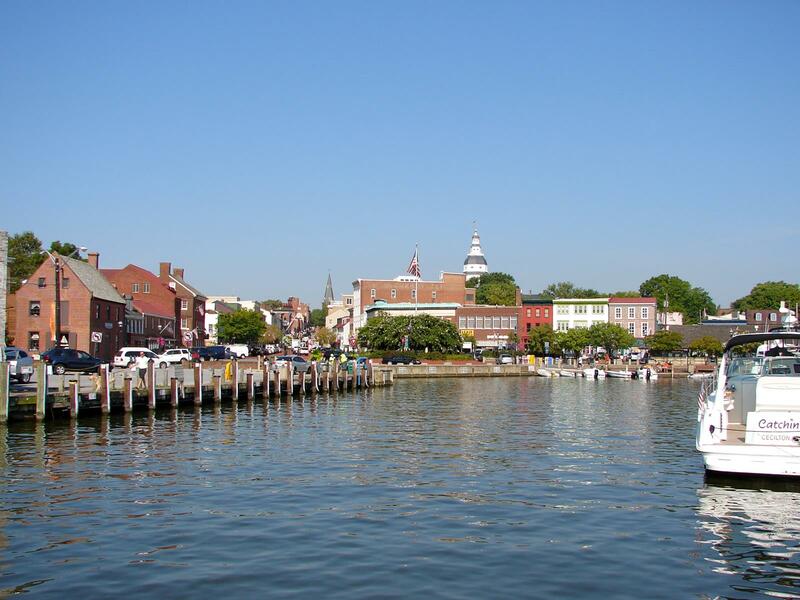 With such a rich seafaring and military history, Annapolis is proud to be home of the U.S. Naval Academy, a prestigious institute that stretches over 338 gorgeous acres. 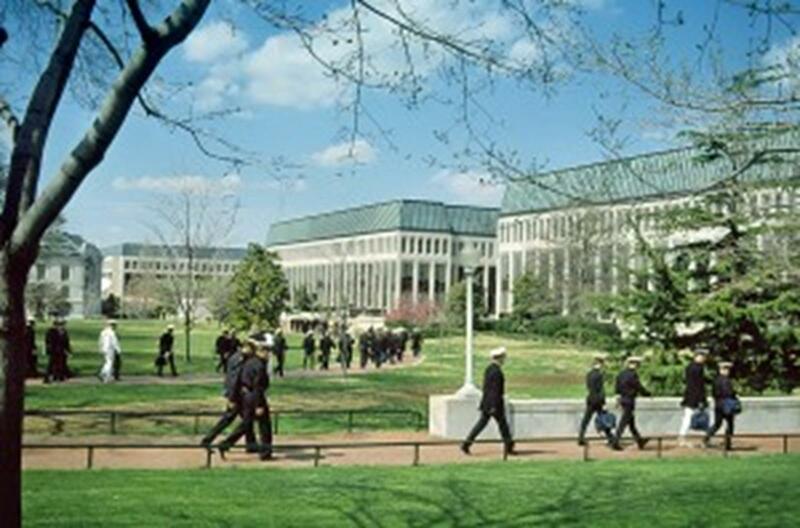 Student travel groups can tour the campus, taking a stroll through “the yard,” visiting the Naval Academy Chapel, Crypt of John Paul Jones and U.S. 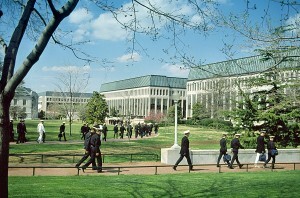 Naval Academy Museum at Preble Hall. Just south of the city lies Historic London Town, a 23-acre park with colonial buildings and woodland gardens reminiscent of the old, lost town. The William Brown House, one of two surviving houses from London Town, is a true testament to Georgian-style architecture. Not much is known of London Town, but due to extensive archeological digs, more and more is being unveiled. Student travelers can learn all about the process of uncovering buried artifacts and buildings. Of the numerous museums in Annapolis, the National Cryptologic Museum is one of the most diverse. Your student travelers will love getting a peek at the world of secret code words and learning about cryptology’s impact on history. For a slightly offbeat experience, visit the Historical Electronics Museum, an institution dedicated to the inner workings of TVs, radios and cell phones. Student tour groups can see a working original Edison cylinder phonograph as well as the first American radar system ever built. To discover more of Annapolis’ sailing history, visit the Annapolis Maritime Museum, where student tour groups can learn all about life on the Chesapeake Bay. Annapolis not only offers lessons in history but also has many opportunities for student tour groups to enjoy the great outdoors. Youth travelers can enjoy paddle boat rides and kayak tours in Quiet Waters Park, or wander along the hiking trails of Sandy Point State Park. A relaxing afternoon on the beach or walking along the water is a perfect way for student travel groups to unwind after a long day of learning and exploring. Student tour groups can ride through Annapolis in horse-drawn carriages as Carriage Tours guides point out important sites. Capitol City Colonials’ walking tours take student travel groups to the most important attractions, leading them through old buildings and providing them with fun facts about Annapolis. Student travel groups can explore the waterways of Chesapeake Bay with Watermark, a top Annapolis sightseeing company. Options range from 40-minute introductory cruises to one-hour pirate adventure rides. A quick sidetrack from the Chesapeake Bay, West River Cruises will take your youth group on a tour of the West and Rhodes rivers on a double-deck boat. There’s nothing quite like watching the sunset over the rippling currents of Annapolis’s waterways. Youth travel programs organizing shows and concerts in Annapolis can rent out a variety of venues where students can perform. The Maryland Hall of the Creative Arts has a 850-seat auditorium available for student performance groups, complete with professional lighting and sound. This location is enclosed, so if you want to take the show outside, the best place to go is City Dock. This bustling waterfront is lined with restaurants and shops as well as plenty of open spaces perfect for putting on student performances. Susan B. Campbell Park, situated next to City Dock, holds choir and symphony concerts, and your student performance group is encouraged to be part of the festivities, too. Quiet Waters Park features a riverfront promenade and open green space where your student travel group can put on a show for all the visitors walking through the area. At the Annapolis Towne Center at Parole, student performers can showcase their talents in front of shoppers and tourists. Your student travel group will really get a feel for Annapolis by grabbing a bite from one of the many dining establishments. Whether you’re looking for a casual spot to grab a quick lunch or a homier environment suitable for dinner, Annapolis offers ample selection and quality food. Student tour groups will love the atmosphere of authentic Middleton tavern, where they will get to eat great local fare while sitting in an 18th century setting. Ram’s Head Tavern and Reynolds Tavern are also prime locations to enjoy classic Maryland cuisine in a warm and welcoming environment. An Annapolis trademark, Chick & Ruth’s Deli features old-fashioned milkshakes and ice cream, and student travelers can even join in the respected tradition of saying the Pledge of Allegiance. If being by Chesapeake Bay is making your student travel group crave fresh seafood, Annapolis is a mecca for crab and fish delicacies. Phillips Annapolis Harbor lets student travelers feast on a number of seafood specialties, including their award-winning crab cakes. Buddy’s Crabs and Ribs is a family-owned establishment that has been serving up steamed crabs and baby back ribs to hungry youth tour groups for years. Severn Inn, located next to the U.S. Naval Academy, offers Low Country cuisine, a Creole-influenced menu that can be enjoyed while overlooking the Severn River. As one of the best cities in the country for a student trip, Annapolis offers quality accommodations for all guests. With over 60 hotels in the area, your student travel group will certainly be able to find a location that suites your crew—and your budget—perfectly. Also, many of the Annapolis chain hotels offer incredible student group deals. The Best Western BWI Airport hotel may be located a little further from the action of the city center, but with a special student tour group rate that offers reduced room prices, free shuttle transportation and complimentary continental breakfasts, it will be worth the extra commuting time. The Best Western Annapolis is only three miles from the Historic District, making it a convenient spot to stay during your student trip. It also has 150 newly remodeled rooms and complimentary expanded continental breakfast. Country Inn & Suites by Carlson Annapolis boasts a new and improved feel, with free cookies at check-in, plus free hot breakfast and local shuttle service. Annapolis might be a small city by the Chesapeake Bay, but it offers unlimited educational opportunities, outdoor activities and gorgeous scenery. The possibilities for your student trip to Annapolis are endless; you’ll never want to leave.